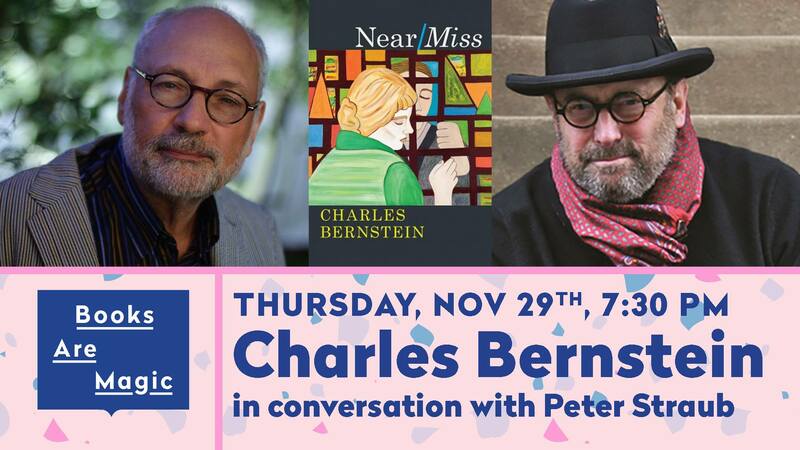 Peter was in conversation with Charles Bernstein at Books are Magic back in November. During their talk they discussed Charles’ new book of poetry “Near/Miss” and much much more. If you didn’t catch them in person, you can listen to a recording of it here.